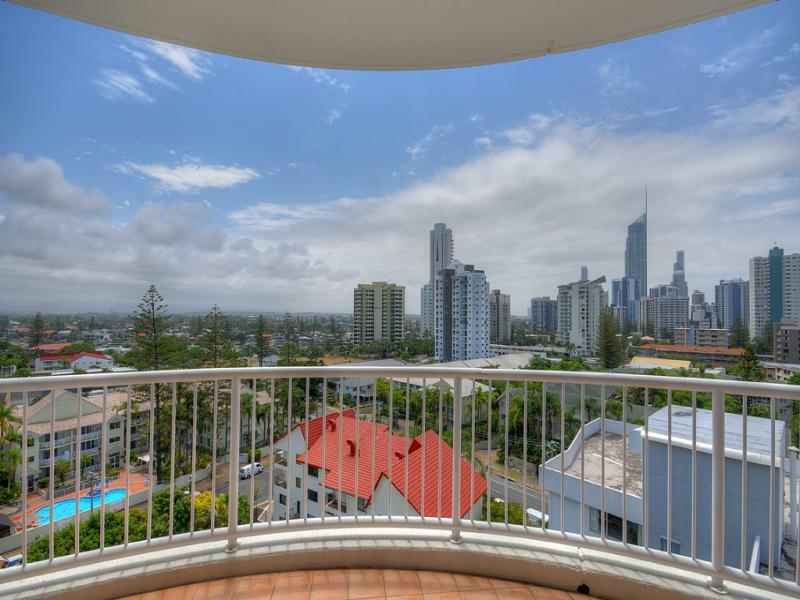 TOP FLOOR WITH FANTASTIC VIEWS! 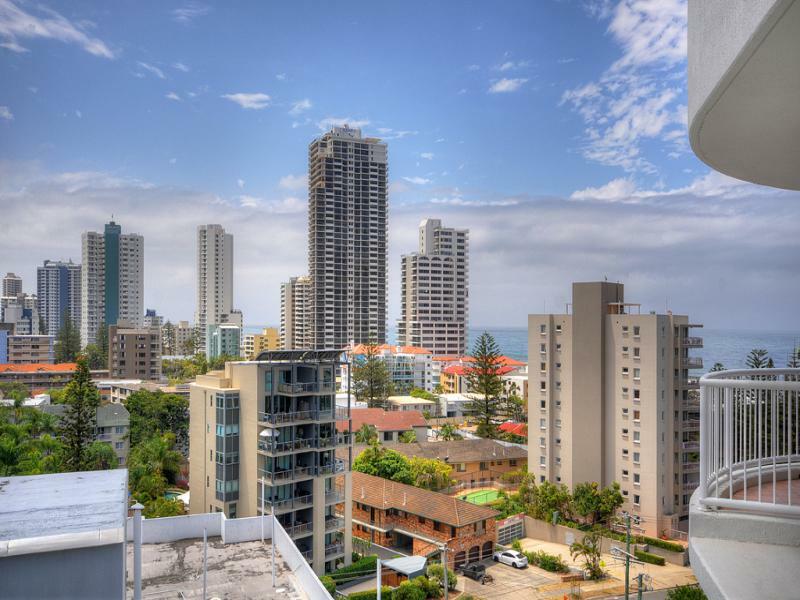 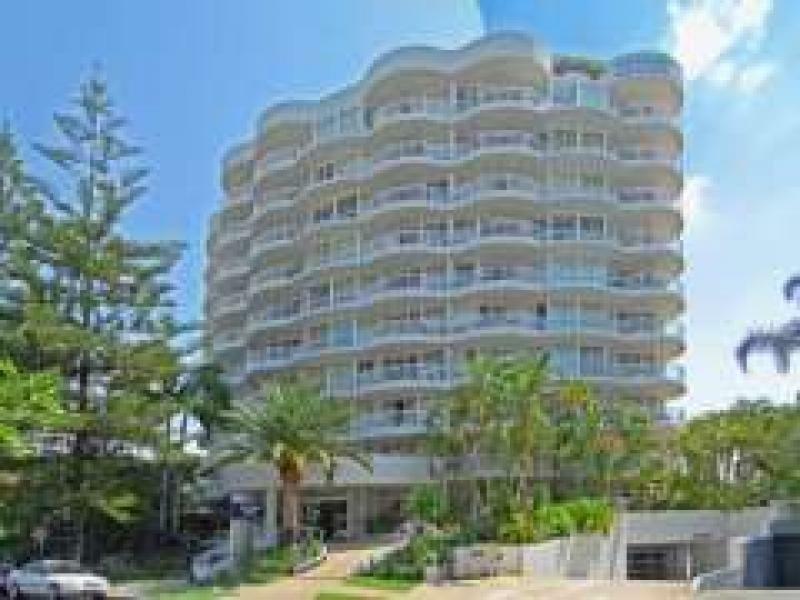 This furnished unit with airconditioning is situated on the top floor of the popular "Surf Parade Resort" at 210 Surf Parade Surfers Paradise. 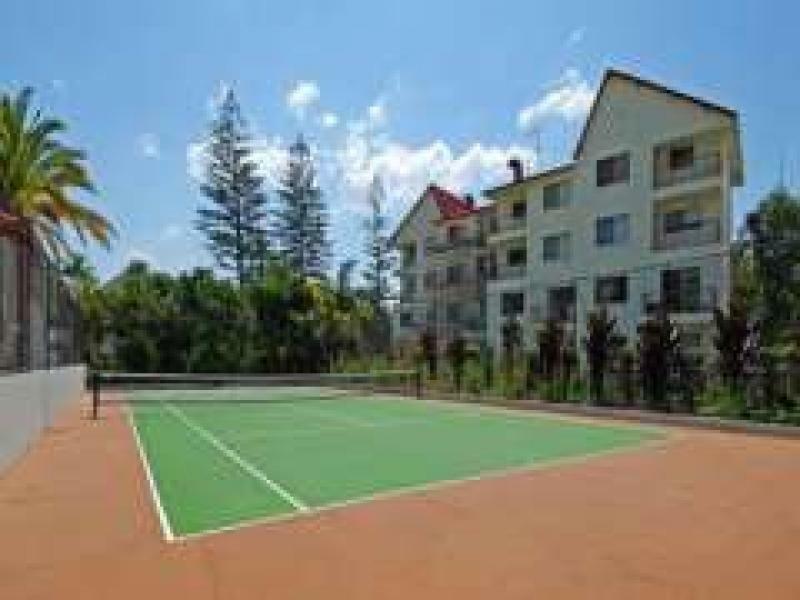 Facilities in this Resort include a Huge Resort Pool which is heated in winter, Full Sized Tennis Court, Gym, Sauna, Barbeque Area and secure parking under. 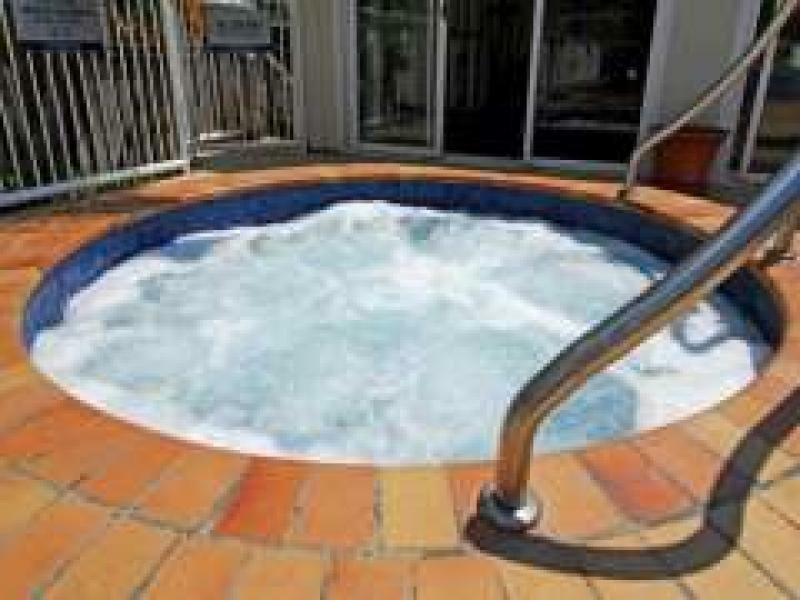 This Resort is close to all facilities and amenities as follows.
. 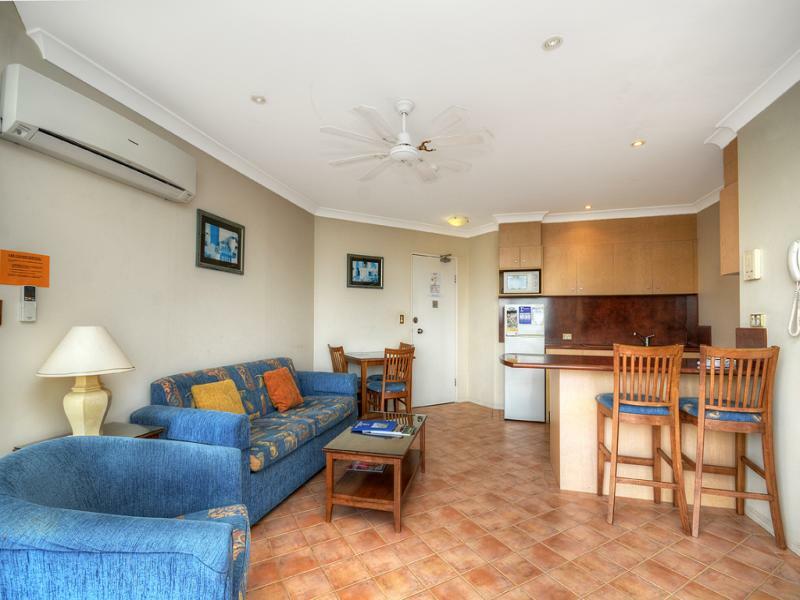 Within 120 metres of Bus Transport.
. 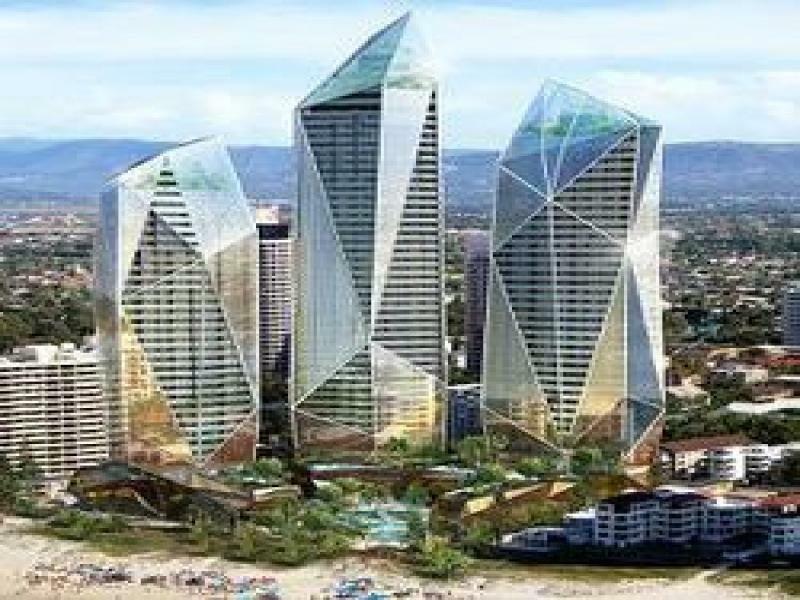 Within 220 metres of the 3 Hirise Jewel Towers on the Oceanfront.
. 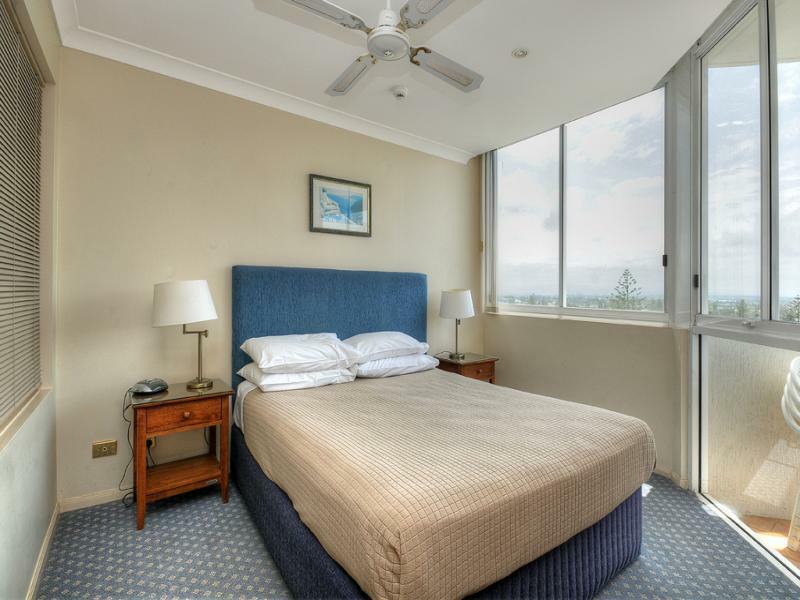 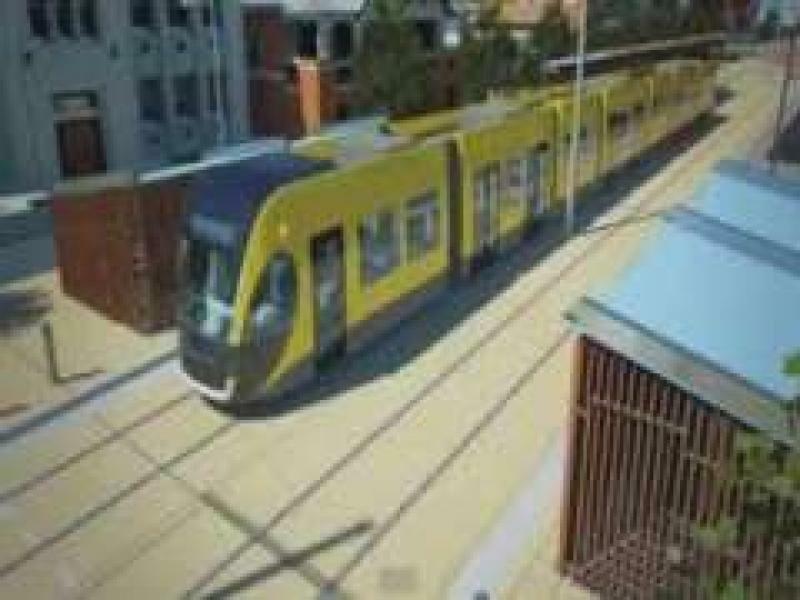 Within 250 metres of the Ocean & to the Light Rail.
. 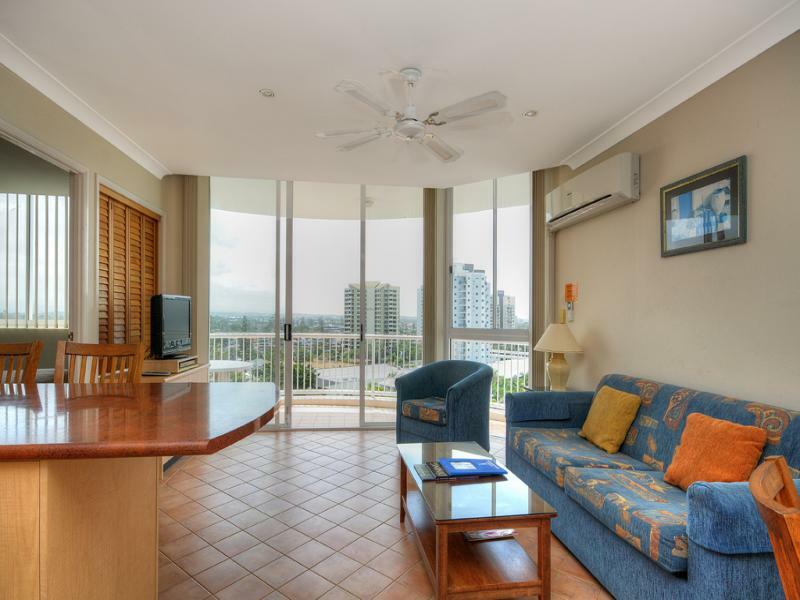 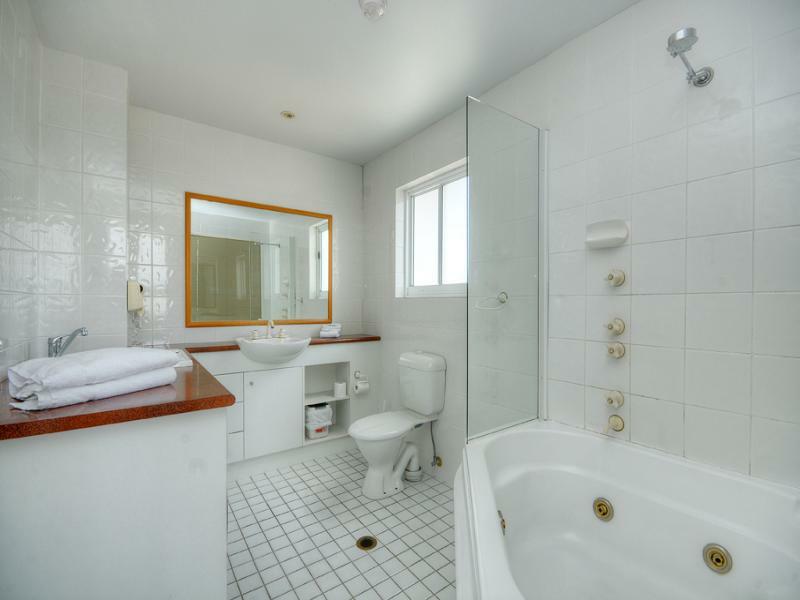 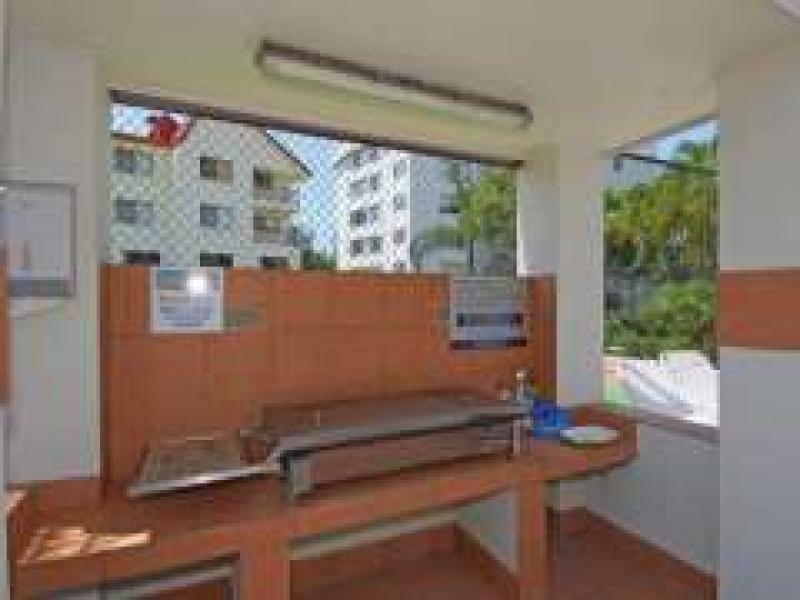 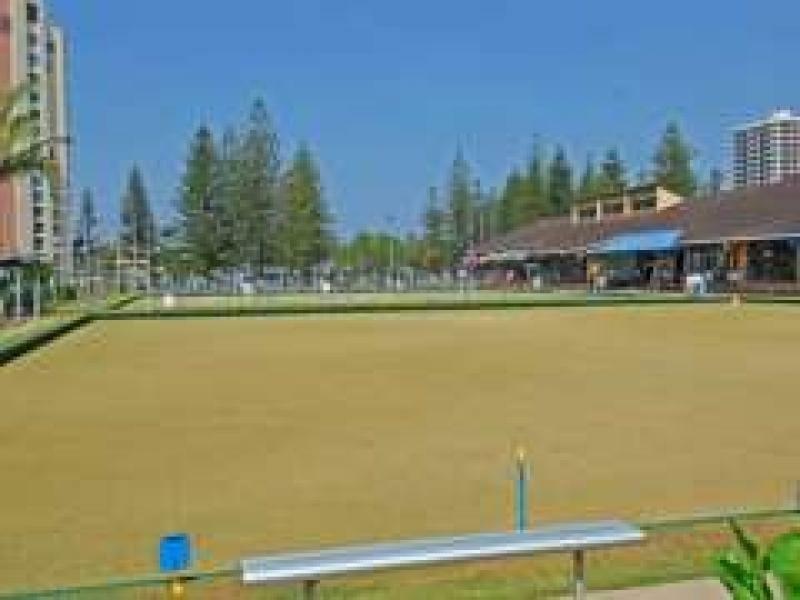 Within 600 metres of the Broadbeach Bowls Club and adjoining Sports Fields.
. 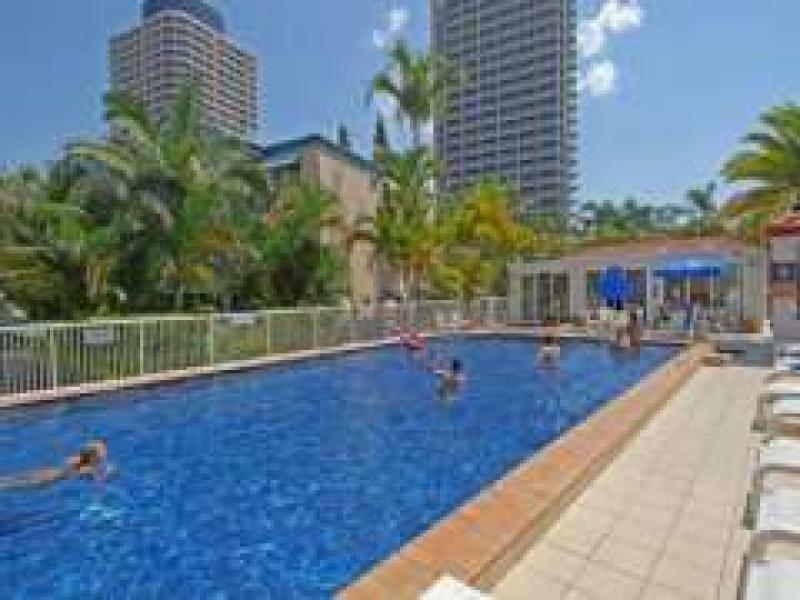 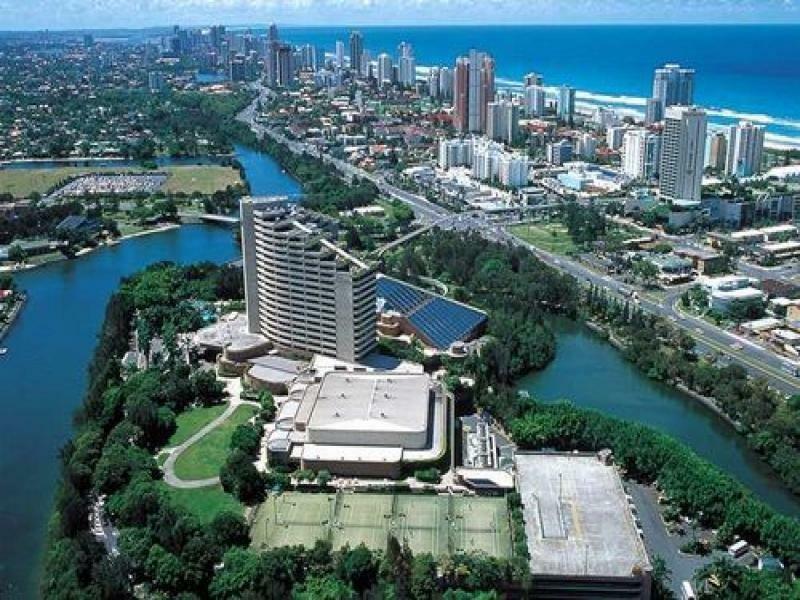 Within 1.2 kms of central Broadbeach, Oasis Shopping Centre,& Gold Coast Exhibition & Convention Centre.
. Within 3kms of the Pacific Fair Shopping Centre & Jupiters Casino.